We Create Custom Diamond Rings So Brilliant & Sparkling White That It Blinds Her Friends From Across A Room... A Ring As Unique & Beautiful As She Is. √ 100% Unique and Personalized For Her – Don't give her the same mass-produced ring design already worn by thousands of other women. √ Not in San Diego? No Problem – More than 70% of our clients are located out of town. We’ve created rings for clients in Australia, Tahiti, Canada, UK, and nearly every state in the USA! Do You Want a 5 Star Experience? Every person who has placed their trust in us to create their ring has had an excellent experience beyond what they expected. We take your trust seriously, and aim to exceed your expectations. "We visited Tiffany, DeBeers, Cartier and several high end stores. Many of them had gorgeous rings, but they were either far over priced, or not “exactly” what I wanted. All in all, Vanessa created the perfect ring, it is absolutely stunning." "As I’m writing this I cannot stop looking at my ring. I literally stop and look down at my hand numerous times a day. I’ve already had so many compliments! I love being about to tell people my fiancé helped to design the ring!" "Vanessa made the whole experience so personalized, and let me know how much thought my fiancé had put into this special ring. She has made the whole process so enjoyable & personal." Business Owners, Attorneys, Engineers, CEO’s, Pilots, Military, NFL Players, Brewery Chemists, Musicians, etc. 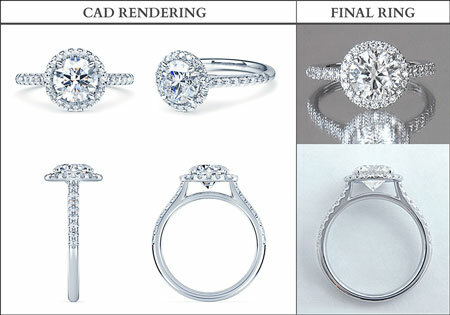 By working with a company that ONLY creates custom diamond rings, you ensure a smooth process from start to finish. 70% of our clients are not local to San Diego – We take excellent care of our clients across the USA & Worldwide. #1 – You'll receive a CAD rendering so it looks exactly how you want it to. Each engagement ring is custom made to fit your budget, whether it's $8,000 or $100,000. The price of a diamond is based on many factors and we will source the best/largest diamond options that fit within your desired number. Vanessa Nicole Jewels doesn't keep an inventory of diamonds because this allows us to seek out the best possible diamond based on your desires rather than be forced to just sell what we own. Fire & brilliance are absolutely #1 when it comes to searching for the perfect selection. Plus, we offer no-interest financing! √ She has educated nearly 1 million people about how to create their dream engagement ring via educational YouTube videos. 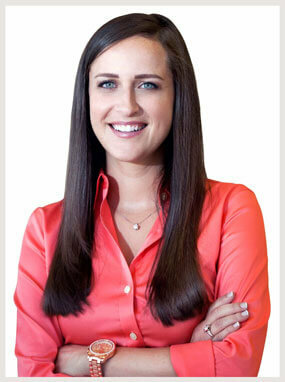 √ The #1 bestselling author of 'The Perfect Custom Engagement Ring'. √ A Master Diamond Setter who began as an apprentice to a Russian master jeweler. √ She has earned a perfect 5 star online rating from past clients.